Too much drama in your life?" What’s better, drama or peace? Too many singles confuse drama with excitement and peace with dullness. But drama is chaotic. It turns your life into nonstop agitation. Soon the stress and uncertainty take their toll. You find yourself short-tempered. You’re nervous, anxiety-ridden. You’re too busy coping with nuisances to enjoy yourself. In this month’s feature article we’re looking at ways to reduce the drama. They all take some effort; that’s why many people don’t do them. The benefits of a peaceful life are so many that they far outweigh the commotion of drama. Let’s look at five ways to dial back the disorder when you have too much drama. In the wake of the latest tragedy. For the past fifty years we’ve been drifting away. We’ve made God a joke; we’ve made him passe’. Then we wonder why everything’s falling apart. God is your hope in this world gone wrong. But we don’t read the Bible, so few of us know. This is its fate until Christ comes again. Jesus still saves; all is not lost. He’s calling you now to come to the Cross. I hope your life is terrific, that you’ve got it all together, and you couldn’t be happier. If that’s the case, you don’t need my new paperback book. Hope for Hurting Singles comes from over 40 years of experience in the single life. Why muddle through alone when you can learn from somebody who has already been there? This isn’t about dating. It’s about those emotions that drive you up a wall. It’s about a calm, peaceful, contented existence. Think that’s not possible for a single? Think again, friend! Whether you’re looking for that special someone or not, Hope for Hurting Singles will simply help you enjoy life more. And who doesn’t want that? 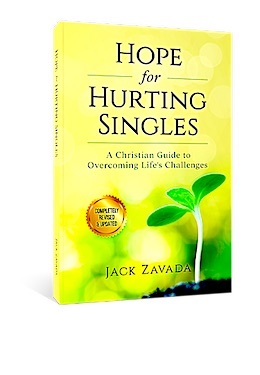 Follow this link at amazon to look inside Hope for Hurting Singles. It’s $10.99 you’ll be glad you invested. I really hate drama. It’s draining; it’s mentally draining. Life is too short for constant conflict. Some people thrive on it, but what does it get you? As Ms. Lloyd said, it’s a waste of time, and single friends, none of us has time to waste. We’re adults now. Let’s cut out the high school stuff. Let’s cut out the social media feuds and name-calling. Let’s recognize that an emotional roller coaster is no way to live. Let’s treat other people with respect and get clear of people who refuse to give us the respect we deserve. Drama? It’s for people who can’t get their life together. The purpose of this newsletter is to help you make wise decisions, grow as a person, and understand the importance of God. Those things will keep you plenty busy. You don’t have time for drama. I’m 66 years old, and never have I seen the world in the state of turmoil it’s in now. The TV and Internet news coverage of all the violence, corruption, and lies is taking its toll on all of us. It’s easy to feel anxious. Here are two effective ways to calm down: getting out in nature, and a pet. I enjoy both when I take my dog Louie for his walks. But I DON’T advise you to go out and get a dog or cat. They require a tremendous amount of time and work, and if you’re not committed to taking care of it for the rest of the animal’s life (sometimes 20 years), don’t be unfair to the animal or yourself. However, you may want to check this other option out. 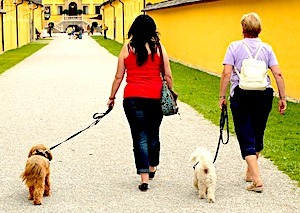 One city I lived in had an animal shelter that needed volunteers to walk its dogs so they could get some exercise. This is a fun way to enjoy an animal for a half hour or hour and do the dog some good but avoid the duties of pet ownership. There are also no food or vet bills! Make a few phone calls to the shelters in your area. Take a friend. This may be just what you need. Walking in a park (a safe park) is something most of us can do. Get some fresh air. Listen to the birds. Observe the trees and flowers. Get away from the computer, phone and TV for a while. Let yourself adjust to the slower pace of nature, and thank God for all the good things he’s given you! 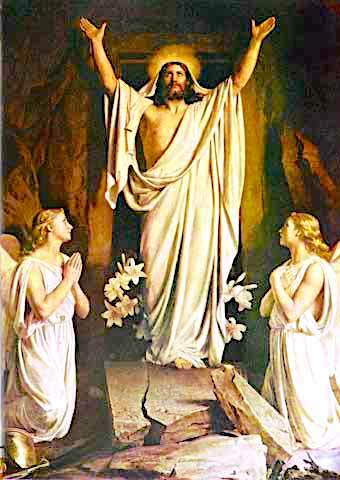 Easter means heaven is real! I don’t put much stock in those books in which people supposedly die, go to heaven, and come back to tell their story. The biggest problem with them is they’re not scriptural. The authors see and do things that contradict the Bible. Meh. Not for me. We’ve got the Bible, and what’s more, we’ve got the resurrection of Jesus Christ. The resurrection means God the Father accepted Jesus’ sacrifice on the cross for our sins. Our sins are forgiven, and like Jesus, we will be raised from the dead some day. Heaven, then the New Heavens and New Earth, mean eternal life for those who trust in Jesus as their Savior. Easter will be here on April 1 this year, before you get your next Inspire-O-Gram. I hope you plan to go to church for Easter services, then celebrate Resurrection Day with family or friends. If you don’t have Jesus yet, here’s how to get him. Some of you may wonder why, when you click to contact me, you’re directed to our Contact Form instead of a regular email address. I have to do that to prevent bots, which cruise the Internet looking for email addresses, from putting me on their pesky mailing lists then bombarding me with spam. It’s pretty much standard practice on web sites now. But be assured that when you use the Contact Form, your email goes right into my inbox. I will send you a personal reply within about three days. Once again here’s our MSG-free contact form. That’s our March/Easter newsletter, single friend. I hope you found something useful in it. If not, remember, it was F’REE! Until April, a reminder from our March feature article: It’s easier to prevent a mess than it is to clean one up!